Klimt is perhaps the most famous Austrian painter of all time, known for his Symbolist works and his prominent place in the Vienna Secession movement. Klimt did a series of preparatory studies for the panels of Nikolas Dumba's Music Salon depicting the working out of various female forms that he would potentially use in the compositions. 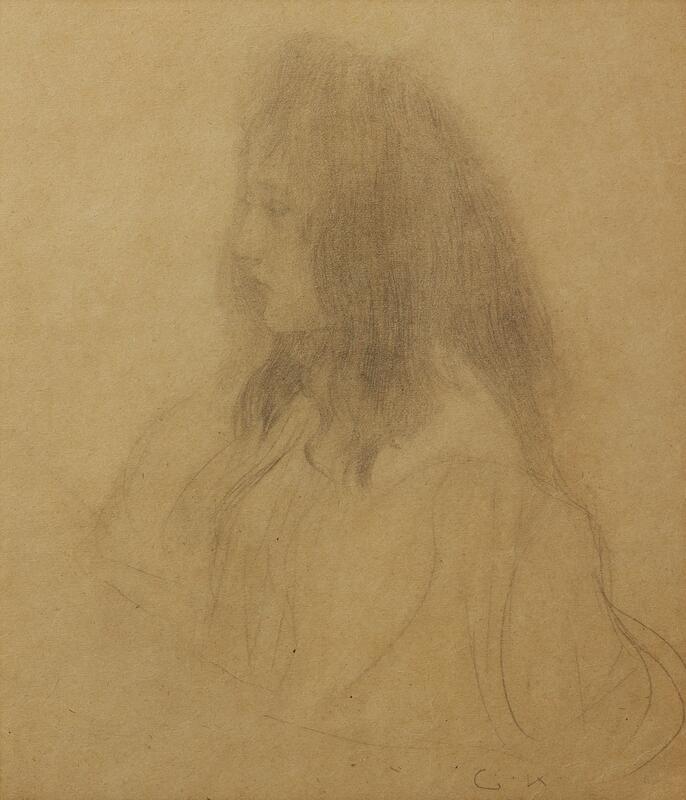 Some of them are line drawings exploring the stance and gesture of a figure, and this drawing is one of the more exacting and complete drawings focusing on the face and expression of a figure that would be perhaps attentively listening to music. 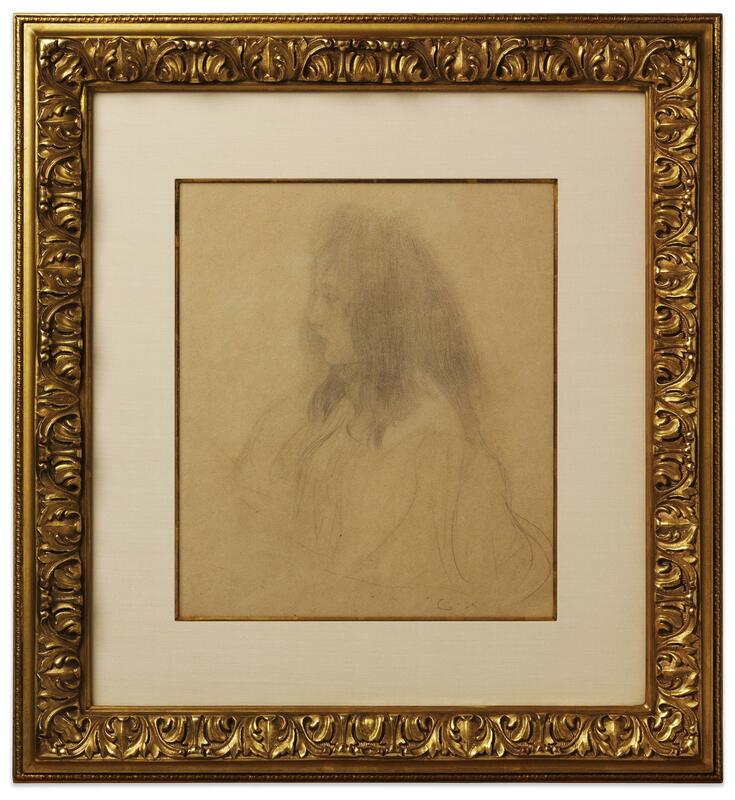 It is very typical of Klimt's drawings of this period which are more detailed and sometimes symbolist in nature. Nikolas Dumba was a great admirer and patron of Klimt. He had originally been enthused by Hans Makart's work and had commissioned him to do decorative work in his office. Makart died and that was when Dumba turned to Klimt and commissioned him along with Franz Matsch to decorate his Music Salon with decorative panels, Klimt's Musik I of 1895 and Musik II of 1898. This drawing relates to the composition of Musik II.